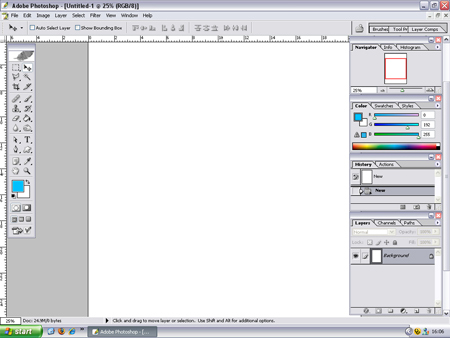 When working with design applications such as Photoshop, Illustrator, InDesign, Dreamweaver and Flash it is important to ensure you have plenty of workspace to put into use. Just like when working with pen and paper, having a large tidy work desk makes life much easier than a small, cluttered workspace. Try and run the resolution at the highest possible setting for your particular monitor (whilst keeping suitable legibility). This will basically give more screen area to move objects around within. Once you have setup your preferred layout in each application save it as a preset. This allows you to quickly relocate your toolbars if they should close or move. Furthermore pressing the TAB key in Adobe applications will toggle the toolbars on and off giving you a clutter free view of your artwork, this is when those shortcut keys come in handy for selecting your tools! Also, pressing the F key will cycle through fullscreen modes, particularly useful in Photoshop on the Mac. A larger monitor will give you more viewable area, but it is also worth considering widescreen or multiple monitors. 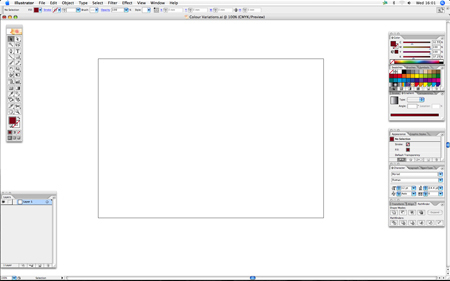 As you can see from the following screenshots, a widescreen monitor gives extra width to place the toolbars without interfering with the main artboard as much as a 4:3 ratio monitor. My preference however is using multiple monitors, in my case just the two, but some graphics cards can support three or four! 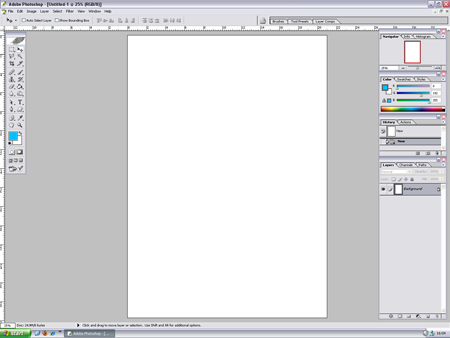 Using multiple monitors gives the opportunity to have one screen as your artboard, and the other housing all your toolbars and reference images or resources. In particular in web design it is useful to display the live webpage on the second screen and see updates instantly without the need to minimise the application. Designers using multiple monitors might also want to check out this nifty little piece of software called Ultramon from Realtimesoft that extends the task bar across both screens and also adds additional options which allow windows to be transferred seamlessly across the workspace. How to get Flash to remember the action panel is on my second monitor ??? ?